Publishers and bloggers from around the world are invited to participate in selecting the nominees and winners to be honored for outstanding performance through innovation and strategies at the World Media Awards and Event this coming October 26, 2011. The purpose of the event it to celebrate the best in blogging and media creation and to exchange publishing best practices. Attendees will learn how to use the latest technologies and techniques to maximize their publishing potential through a series of practical workshops hosted by some of the world’s leading publishing experts. WHY THE WORLD MEDIA AWARDS and EVENT? Murray is pleased to have the eBay partner network as lead sponsor for this first annual event. eBay is keen to support the publishing community. Other sponsors include VigLink, Trancos, and GrowMap with additional sponsors still being added. Media partners include Adrants, MediaVision, Bloggeries, The Affiliate Marketing Awards, and Read Write Web. The award presentation will take place during a one-day event in San Francisco, California in the PayPal building. Besides the awards, the event will feature practical workshops on the latest technologies and techniques for successful publishing. Nominations are now open. You can enter your own blog(s) and those you admire. The first 100 bloggers to post about the awards and put up a banner will get a free entry. Details on nominations page. 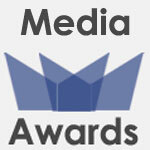 See the Media Awards Nomination page for details. Judges include Steve Hall, Sarah Austin, Chang Kim, Pierre Zarokian, Julie Wohlberg, Cheryl Contee, Ivka Adam, Krystyl Baldwin, Adrian Harris, Jeremy Wright, Rob Bloggeries, Dave Duarte, Tanya Alvarez and Dana Oshiro. If you are interested in judging or have judges to recommend contact Murray. Buy tickets at this official World Media Awards Event Tickets Eventbrite page. Save by buying Early Bird Tickets now. For more details visit The World Media Awards and Event official site. Use hashtag #wmads on Twitter.